The seeds marked with an asterisk (*) are those we purchased in the late summer or early fall of last year. We never got around to planting them but they should still be viable. The color in parentheses describes the produce, when ripe. Well, so much for 2014. 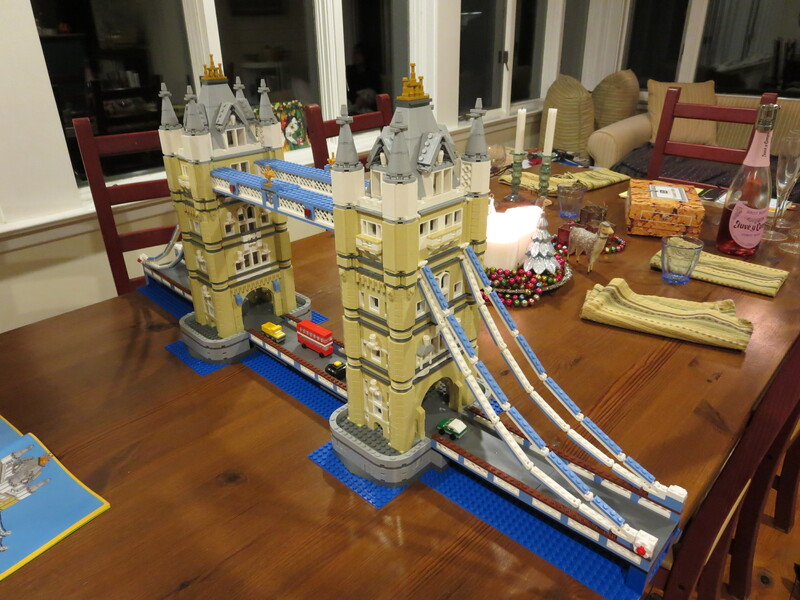 It was a long one, trying in many ways, but in the end a good year. That was true for life in general and for the garden in specific. What worked and what didn’t? Let’s start with the negatives. 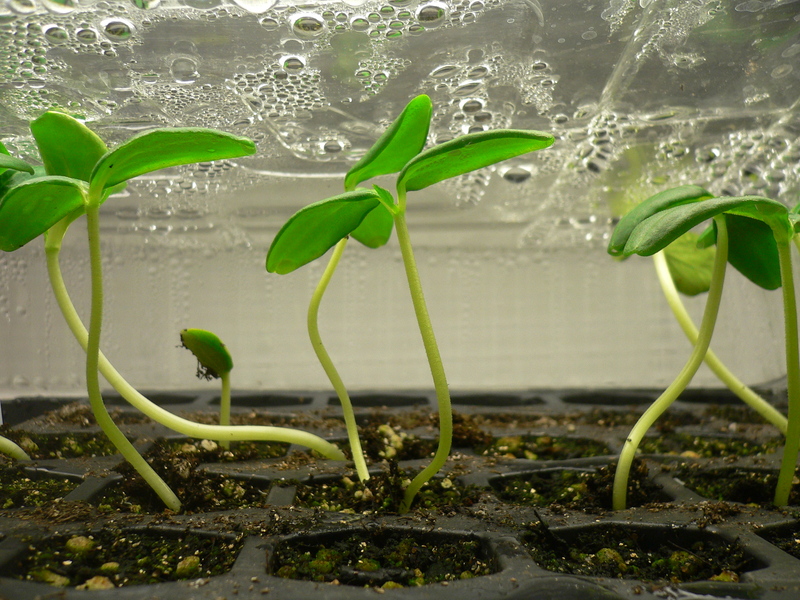 Growing herbs from seed: It’s a wonderful concept and something that promises the heat of summer in the dead of winter. I started thyme, rosemary, basil, oregano, spearmint, and sage at the end of January last year with high hopes. The only seeds to germinate were the rosemary (perhaps two) and the basil. I sowed a second batch of thyme, oregano, spearmint, and sage in early March, this time with fresh seeds. The germination rate was much better but the growth of the seedlings was slow. They did not need potting up until the end of April and we didn’t set them out until late June (everything was late last year due to the harsh winter). My conclusion is that herbs are best purchased as seedlings. Eggplant and peppers: These are not exactly negatives—we had a decent harvest—but they needed extensive feedings (weekly) and did not produce ripe fruit until the early fall. It is possible that I planted them too close to each other (again!) and this year, we will give them even more space. I’m determined to make them work because their flavor is so much better than what you can get at the market, even the farmers’ market. 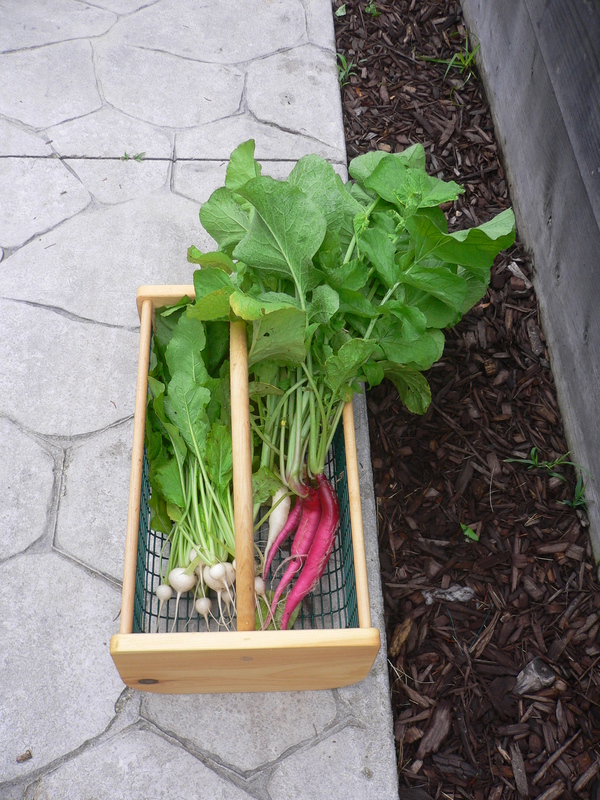 Radishes and carrots: It pains me that neither the radishes nor the carrots performed well last year—or the two prior years, for that matter. 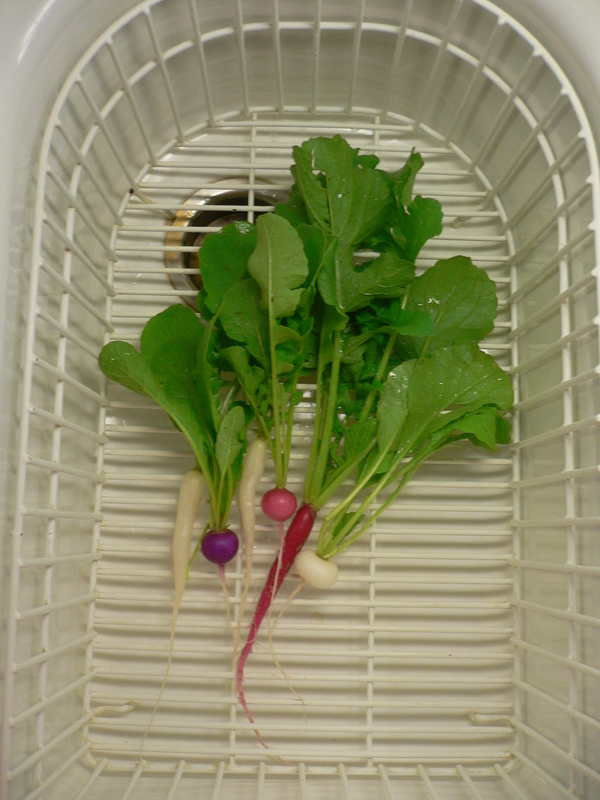 Radishes in particular are supposed to be one of the easiest vegetables to grow. They are also supposed to be quick to mature. In our experience, they are quick to sprout but then their growth slows to a crawl. Carrots are slow in all respects. With most of the root vegetables, we have also had the problem of too many greens and not enough roots. It’s not a huge problem—I enjoy radish, beet, and turnip greens as much as I enjoy radishes, beets, and turnips—which is a good thing because there does not seem to be anything to be done about it. 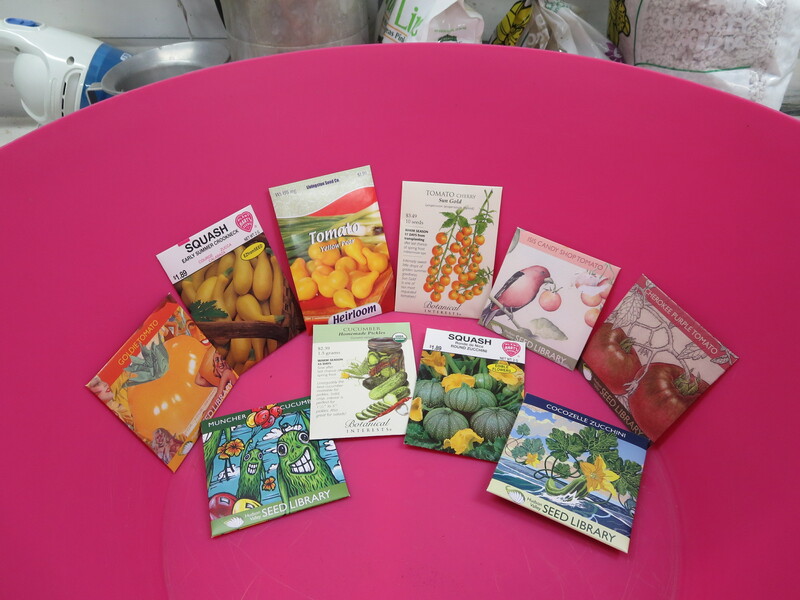 We will continue to try different varieties to see what works best in our garden. Cucumbers and summer squash: Like radishes, summer squash is supposed to be easy. It is also supposed to be prolific. Not for us. We had enough but leaving sacks of zucchini and cucumbers on the neighbors’ doorsteps was never an option. This is another case where finding the right variety—a trial and error approach—is really the only solution. Lettuce from seed, indoors: Sure, the germination rate of lettuce seeds is abysmally low but there’s no reason not to sow a hundred seeds at a time. If too many sprout, they can be culled and used as micro-greens (in salads arranged with tweezers!). More likely, only just enough will grow to fill out the planter. We use window boxes that fit nicely on the bottom shelf of our seed-starting apparatus. We keep one fluorescent light fixture on them continuously (controlled by a timer) and so I only need to remember to water them every other day or so to maintain a steady harvest. If I can figure out a safe way to automatically irrigate the boxes (without fear of flooding the basement! ), then the process will be perfect. 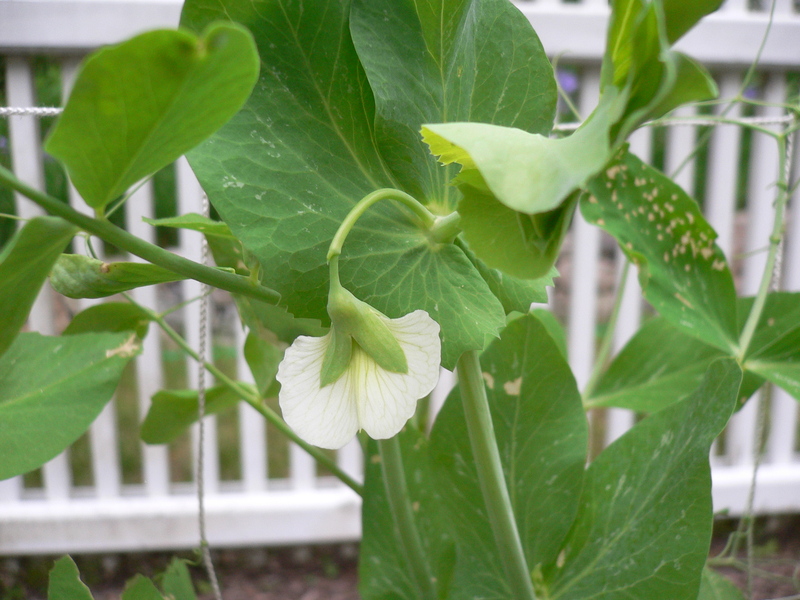 Sugar Snap peas: Peas with edible pods are tied with turnips as my favorite home garden vegetable. They are the first to start outdoors (theoretically, as early as March 17) and quickly add a touch of spring green to the garden. The sprouts are useful whether raw, as a topping for crostini, say, or cooked in a stir-fry. 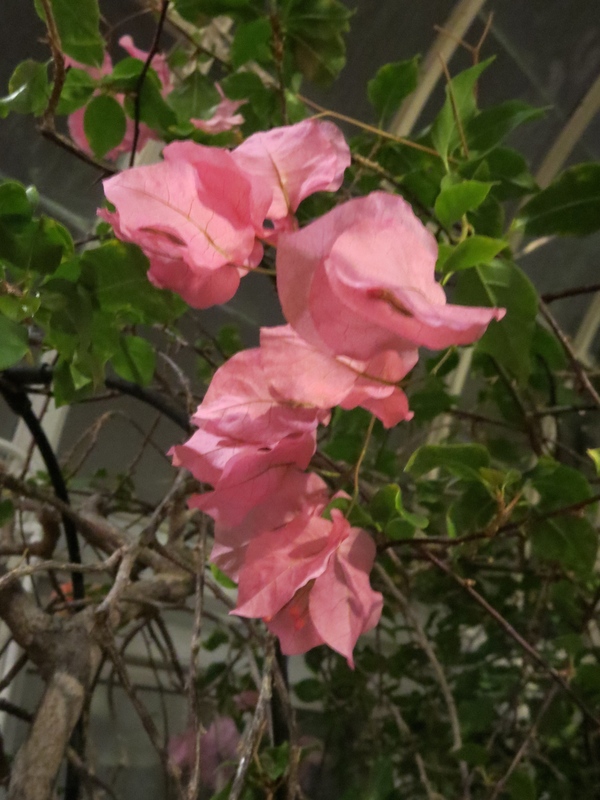 The blossoms are beautiful and once the vines start producing, they continue for weeks. 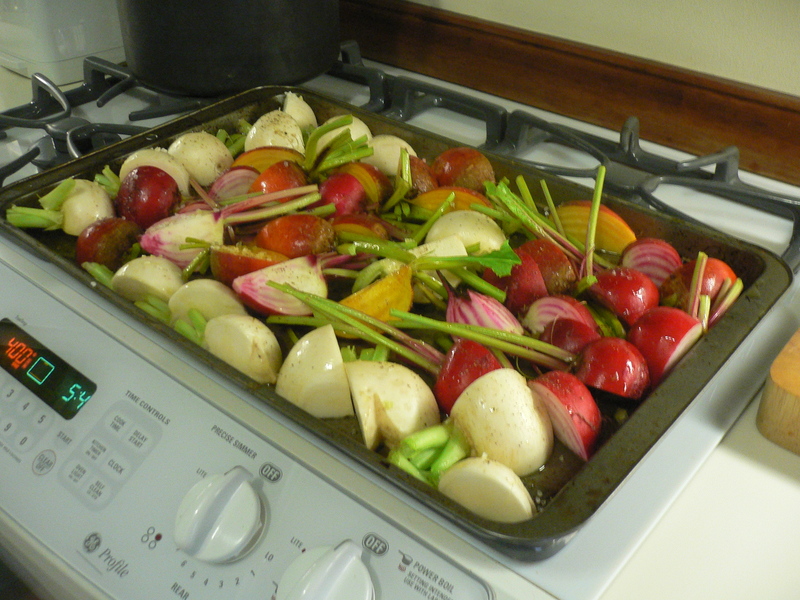 Turnips and beets: Turnips are my co-favorite home garden vegetable both because they are easy to grow and are versatile. Unlike the other root vegetables, we’ve never had a problem with too many greens, which are delicious raw (in a salad, usually) or sautéed (e.g., with onions and garlic). Likewise, the roots can be eaten raw—thinly sliced, with bitter greens and a honey-based dressing—or cooked. I don’t know why more chefs haven’t included them in their farm-to-table menus. 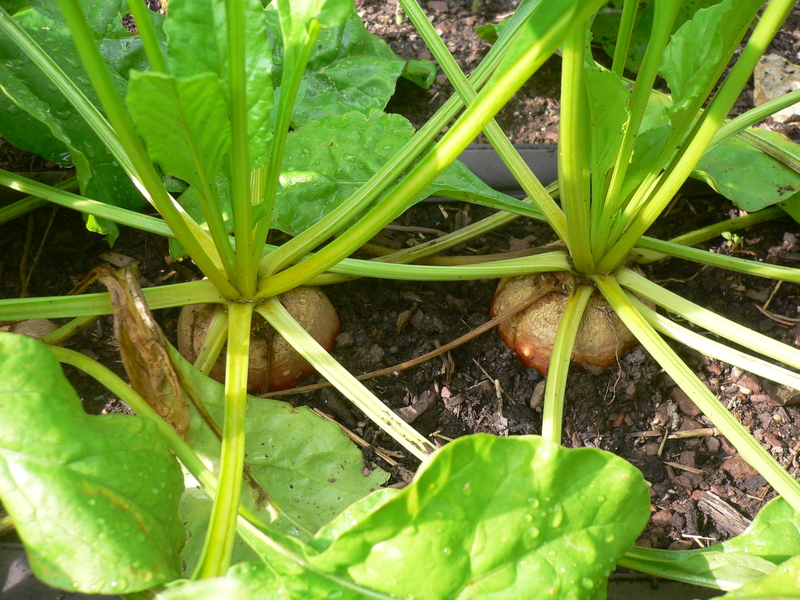 Beets are slightly more problematic and sometimes the roots suffer due to over-abundant greens growth. 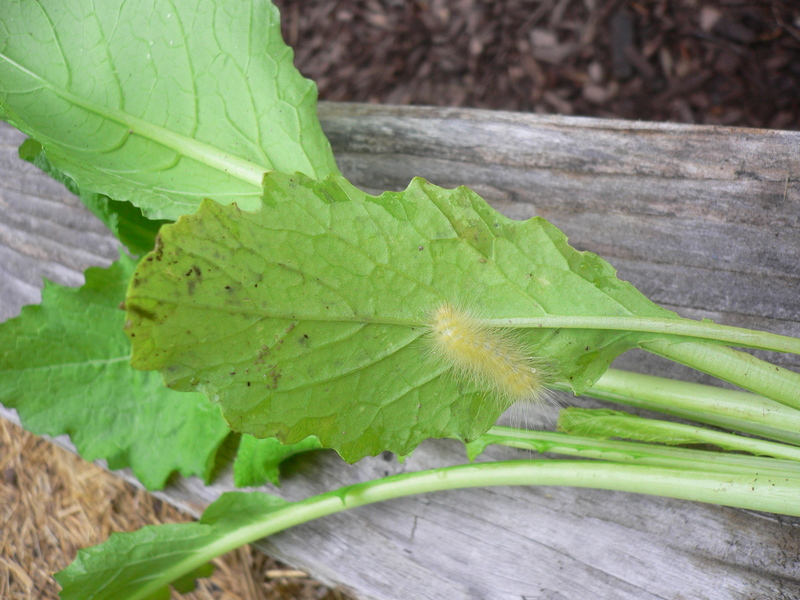 On the other hand, they are very resilient and last until early fall. 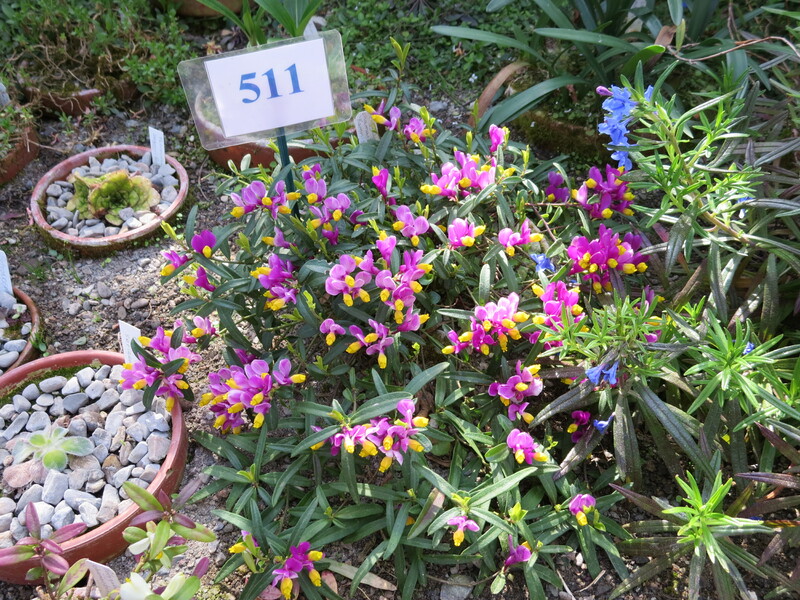 (And for all I know, they could over-winter in the ground without damage.) Despite the additional effort needed to spur their root growth, home-grown beets are worth it. Nothing beats the earthy flavor of beets, pulled from the ground and roasted in a hot oven. That’s terroir defined. Tomatoes: As in previous years, we planted twelve vines last year but only six in a raised bed. The other six we planted in the ground, in alternation with the summer squashes. Also unlike ever before, we only placed one tomato vine per cage. More experienced gardeners might be saying, “Duh!”, but we’ve finally arrived at the conclusion that the tomatoes are easier to manage (by which I mean, easier to keep pruned) when they have more space between them. We also benefited from an unusual late-season growth spurt last year; our vines were still producing fruit in mid-November. It was odd, but in a delightful sort of way. Having fresh tomatoes in the fall—which were still green, for the most part—made us think about them in a different way. Whereas the soft, ripe, red tomatoes of summer were best eaten raw, the firmer, tart, green fall tomatoes tasted better in cooked dishes. String beans: Pole and bush beans are another vegetable on the too-short list of reliable producers. Their preferred schedule (mid-summer to early fall) makes them the perfect candidate to follow the Sugar Snap peas when they start to peter out. 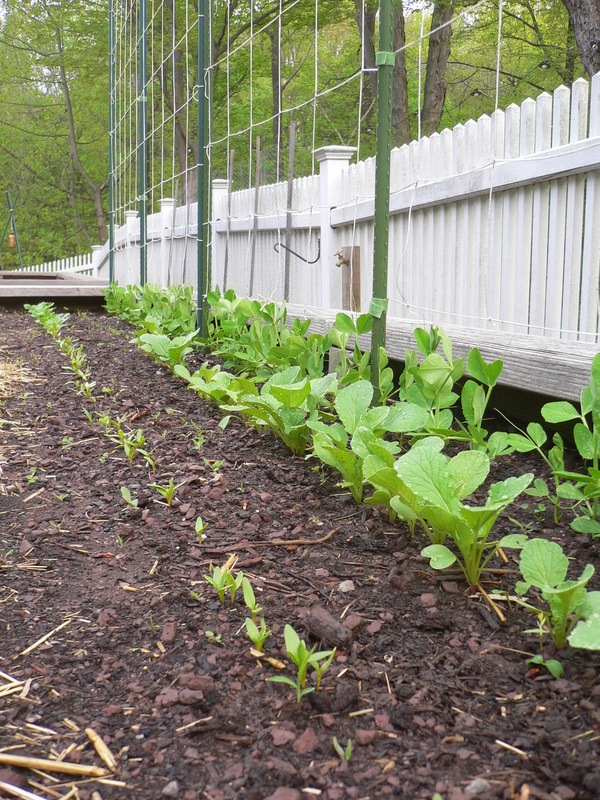 Like the peas, beans sprout quickly, climb their trellis rapidly (one can almost see them creeping upwards), and supply an abundant crop of crisp, brightly-flavored beans that last for an extended period. They are a good choice to end the growing season. The deadly night shades (tomatoes, bell peppers, and eggplant), the cucurbits (squash and cucumbers), and the legumes (string beans) continue to toil away in the mid-summer sun, slowly extending their stems, unfurling new leaves, presenting blossoms to eager pollinators, and fattening their fruits. Their harvest times remain weeks away. Meanwhile, the members of three families of root vegetables—the crucifer (turnips and radishes), the goosefoot (beets), and the umbel (carrots)—bide their time until we decide to pluck them from the soil. 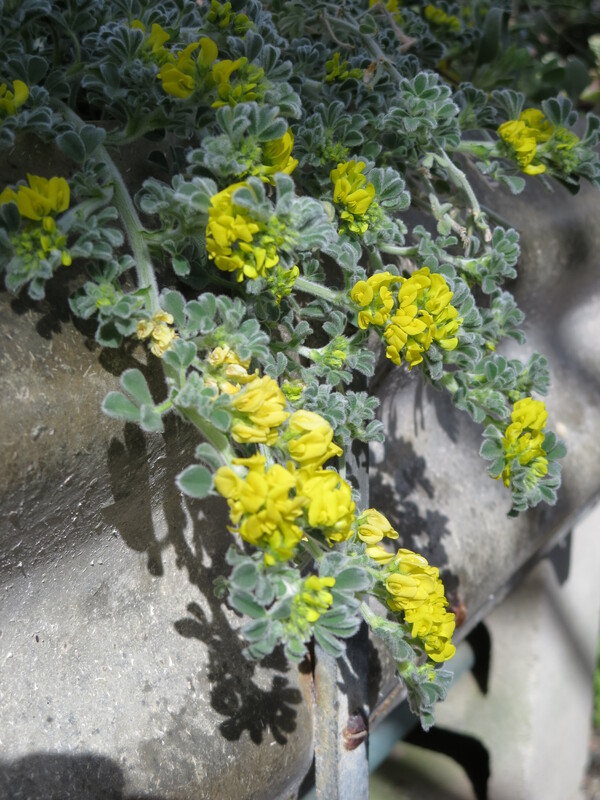 They have matured for the most part and only slowly enlarge with each day’s dose of sunshine and water. We could harvest them all but they are safer in the ground than in the refrigerator, at least in the short-term. In fact, in the ground is where these root vegetables like to be. 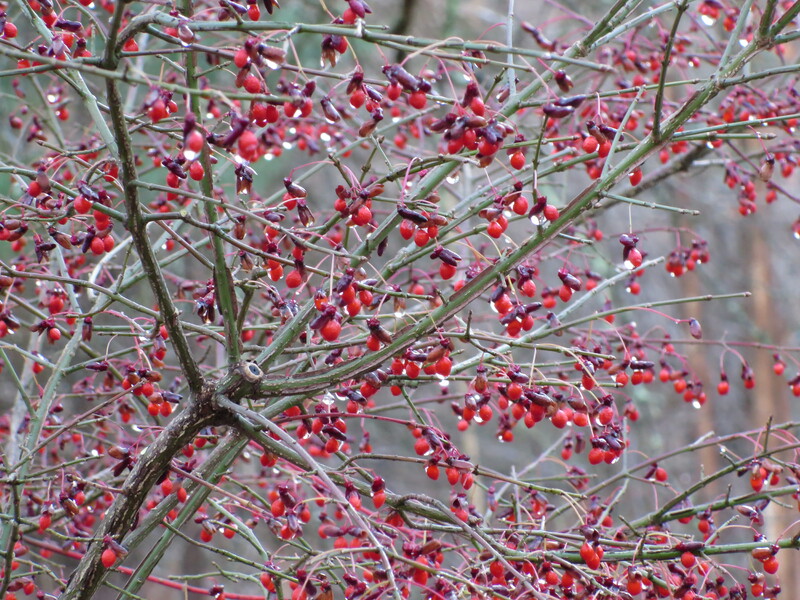 Their purpose is to store energy over the winter so that the plants can flower and go to seed in their second spring. The roots will keep a long time and that is why many people store them for winter consumption. Doing so requires that they be kept dry and out of the sunlight, which, somewhat ironically, can harm them as well. Being buried in boxes of sand or soil and placed in the basement protects them until they are needed in the kitchen. We don’t grow enough of them to feed us over the winter—hence, we do not put them in the cellar—but we do grow more than we can eat at one time or even at the rate that they mature. The icebox is one alternative but it is too cold and too humid, conditions that would foster mold or rot. Therefore, we keep the root vegetables on figurative ice. We have to be careful, though. If kept too long in the soil, they can become woody or tough and will lose flavor. And if forgotten or neglected, they might decay or provide a feast for insects. We won’t let that happen. When we are ready to eat them, we’ll them pull up, wash them off, and separate their greens. The roots we will roast and the greens we’ll sauté. And if we don’t eat them all, we will share them with others, which is perhaps the best approach to the abundance. One vegetable dies, another takes its place. One plant germinates, sprouts its tiny stems, spreads its leaves, grows larger, offers its colorful blossoms to eager pollinators, sets fruit, and then gradually, or sometimes quickly, puts forth a bounty of shiny produce to the gardener who tended it. And then, more quickly, the plant fades away, its produce picked and its energy spent. No more pretty flowers or tasty vegetables. Most plants simply wither away at this point although biennials will contentedly continue to absorb and store energy for their flowering the second year (not having flowered or produced seed in the first). 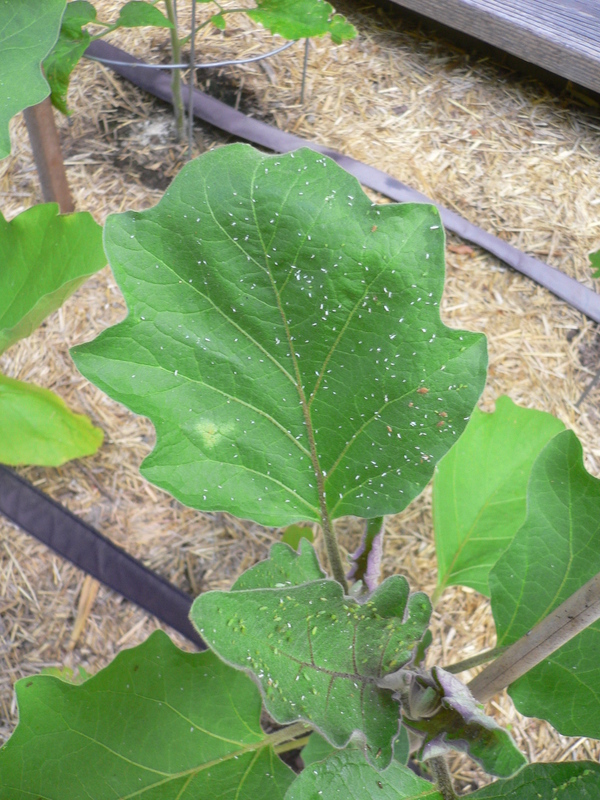 Depending on the time of year and the climate, that leaves a vacancy in the garden, a void that would be wasted if left unfilled. If it is early enough in the summer and the first frost is not expected until late fall, there is plenty of time for a fast-growing vegetable—radishes are a good example—to repeat the cycle of life and death before winter descends. That’s how succession gardening is supposed to work, anyway. 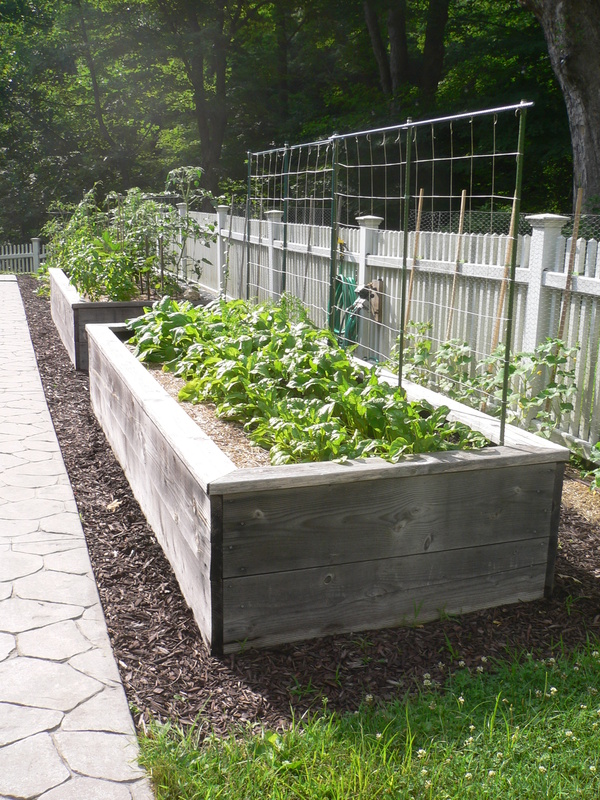 In the best planned garden, there is more to it than squeezing a second round of produce into the growing season. With careful selection of the first vegetable planted, when it is through the soil will be well prepared (even if depleted in some respects) for the plant that follows it. Likewise, the second vegetable, if chosen with thought, will leave the soil ready for what is sowed the next spring. This process can be stretched out over multiple seasons in what becomes long-term crop rotation (see May 18, 2014). Theoretically, we follow this approach. In practice, we do the best we can. I’ve already described our crop rotation strategy (see May 4, 2014) and for succession planting, we do multiple sowings of root vegetables, including two or three early in the season and one late in the season, for which we are about due. 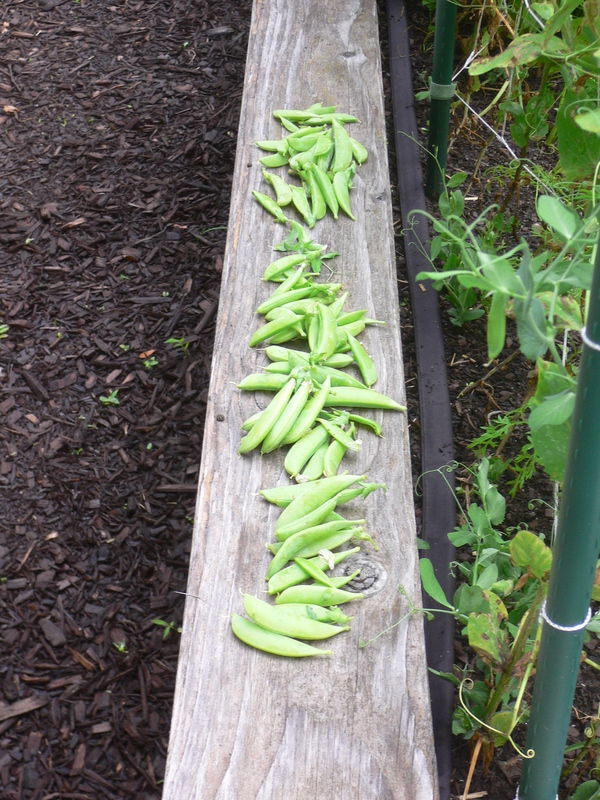 We also planted a mid-season replacement for the Sugar Snap peas, the last of which we harvested this morning. There were still plenty of peas but production had slowed and the leaves had begun to turn yellow. New growth had appeared at the base of several vines and I was tempted to wait to see whether it would bear fruit. But wanting to move on, we pulled them out. In their place we sowed string beans. We planted the same varieties as last year—Amethyst Purple and Roma II—knowing that they are fast-growing and prolific (assuming the seeds are still viable, of course). 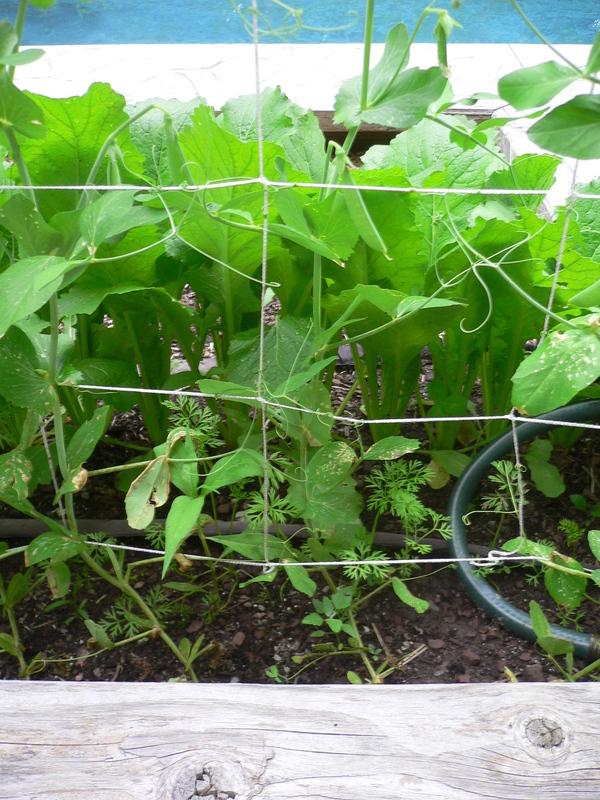 I don’t know whether string beans are a good successor to peas in terms of soil conditioning but I do know that they are the only other vegetable we grow that needs trellising. Also, I love to eat them. We decided to pack the root vegetables in closely this year. 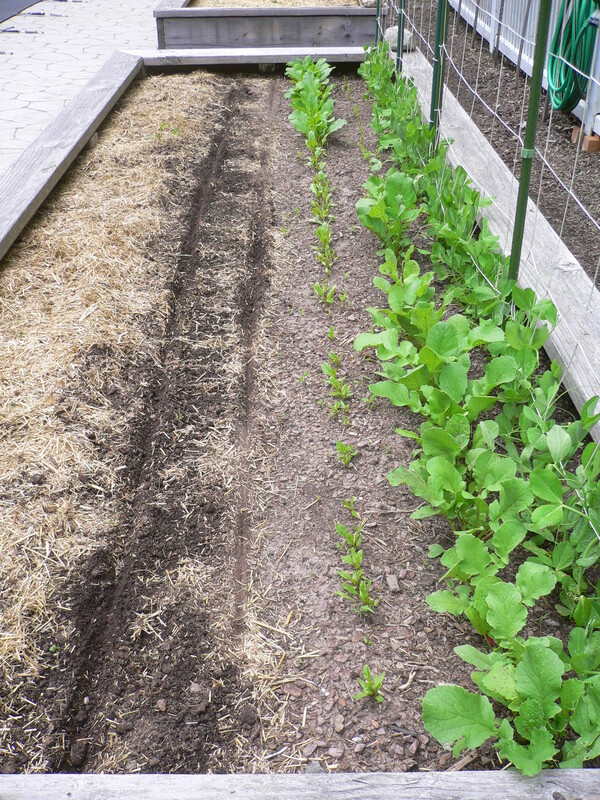 We’ll cram six rows of carrots, radishes, beets and turnips into the east planter, completely filling the space in front of the Sugar Snap peas. Four of the rows are already planted, two in April and two in May. The April bunch is in mid-production. 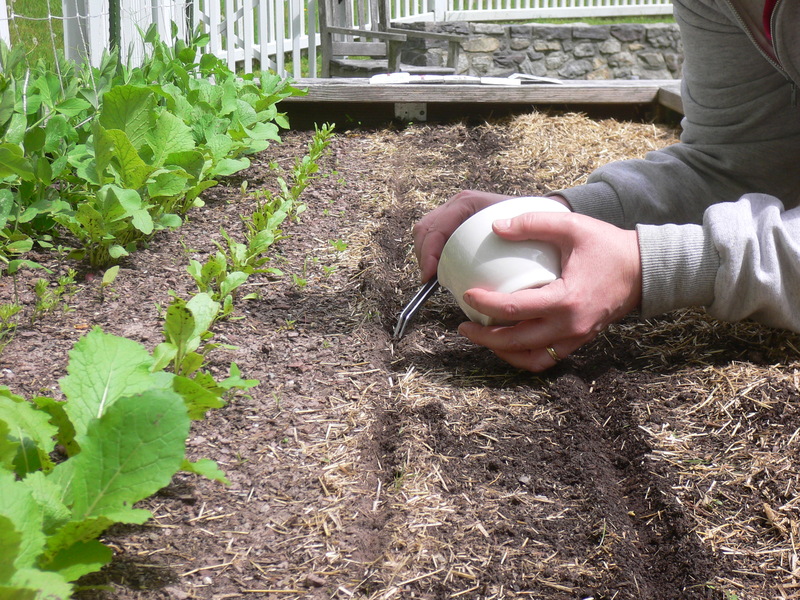 We’re harvesting turnips and radishes—or their greens—on an almost daily basis. 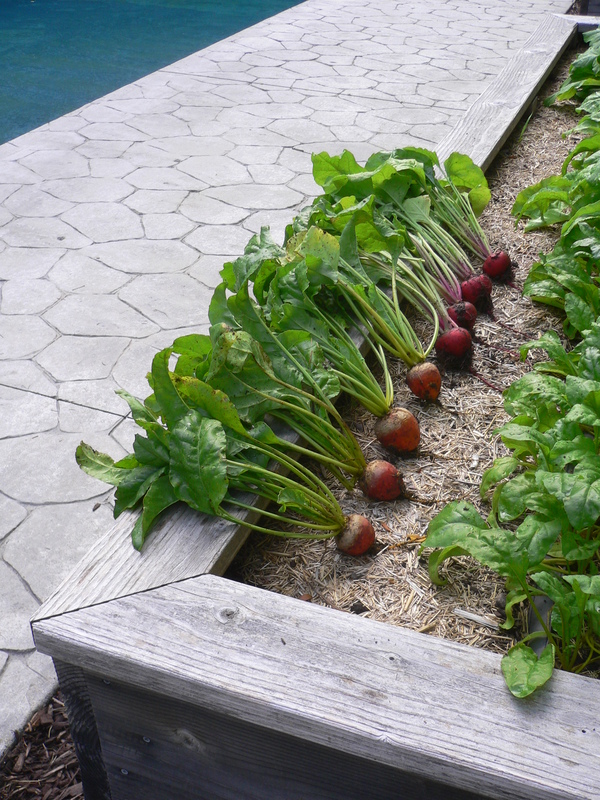 The beets are trailing behind a bit but we’ll start picking their greens soon. 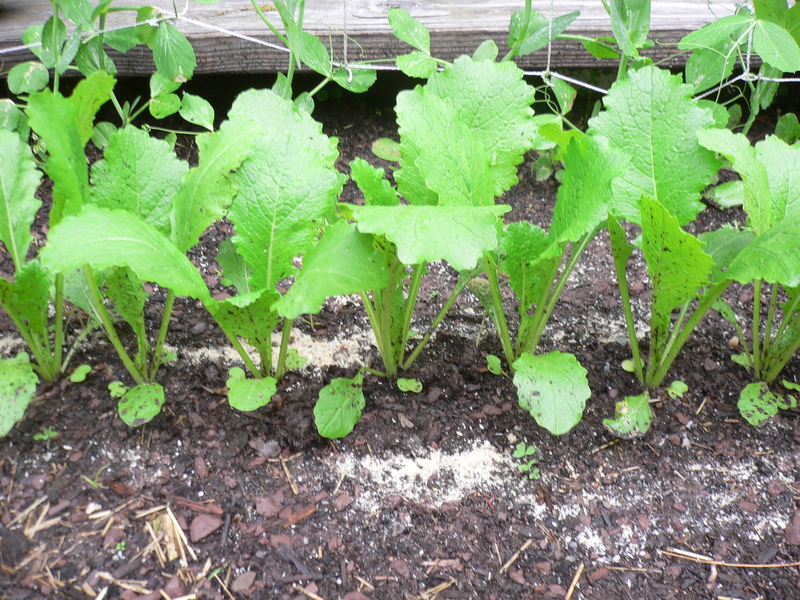 And seedlings for the turnips, radishes and beets sowed in May are pushing their way out of the soil. But where are the carrots? After a casual glance at the planter, one might not realize that carrots are growing there at all. 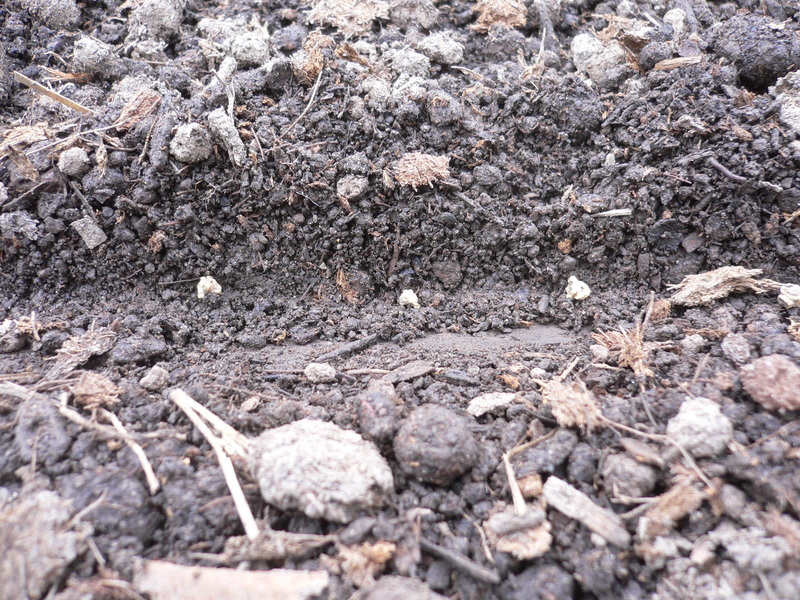 There is no sign of those we planted in April and the May seeds have yet to germinate; their half of the row is empty. That’s because we made a miscalculation when we laid out the rows. 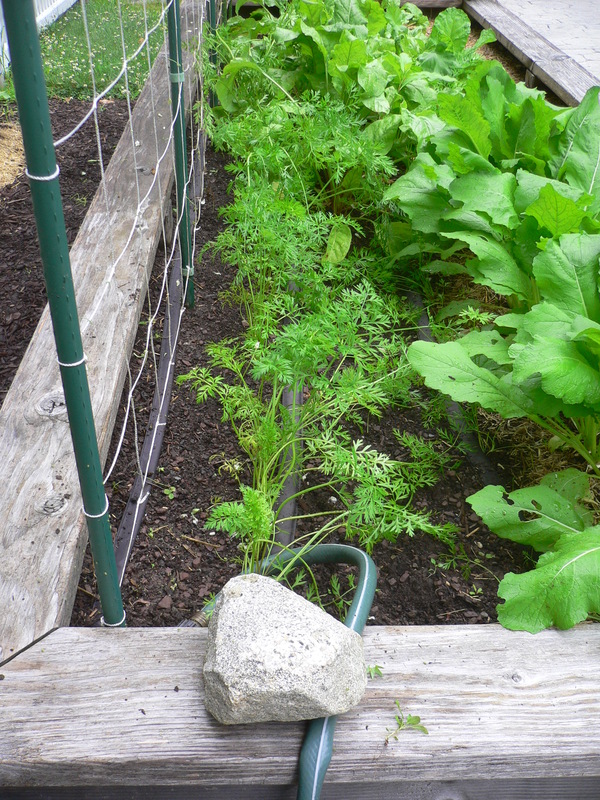 Carrots share with radishes in the first, northernmost, row. The next row going south contains turnips and beets and then the order repeats. At the west end of the planter, then, the rows alternate carrot-turnip-carrot-turnip-carrot-turnip, from north to south. Now, carrots are very slow to germinate and when they do, put up frilly greens not unlike the dill or parsley to which they are related. Once sprouted, their growth remains slow. We don’t expect to be eating them until the end of June. 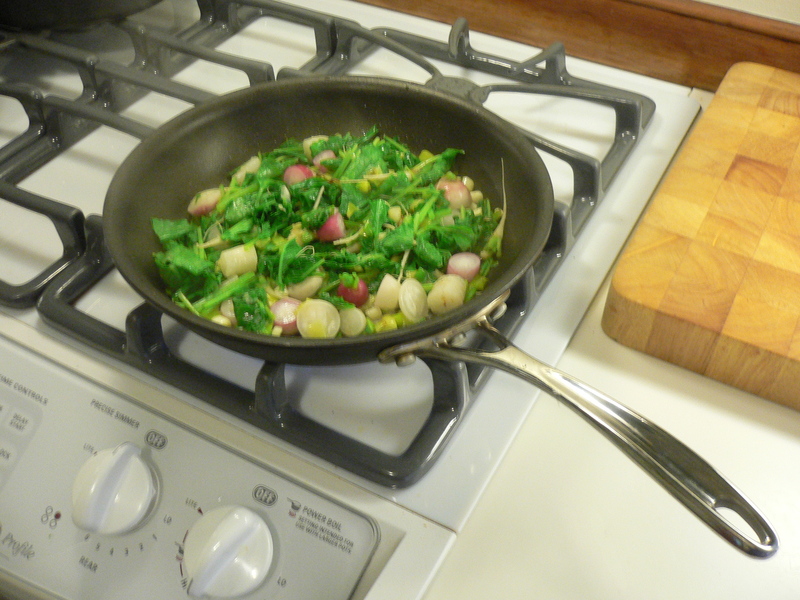 Turnips, on the other hand, are crucifers with tall, broad leaves. They grow quickly and profusely. They are among the first to germinate (along with the radishes) and soon grow into a dense hedgerow (albeit, at garden scale). The batch we planted in April is currently a foot high. Hiding behind them are the carrots. Unfortunately, they won’t see the light of day until the turnips have all been harvested. Had we reversed the planting order, putting the turnips to the north, the carrots would not have been affected, at least not until the following row of turnips sprouted. I’ll try to remember this next year. Fortunately, another consequence of the fast pace of the turnips is that they will soon be eaten, leaving the carrots to have their days in the sun. Still playing catch up, we thinned the beets and turnips today. Doing the turnips was easy: we had placed the seeds with one and a half to two inches in between them; to thin, we simply pulled out every other sprout. 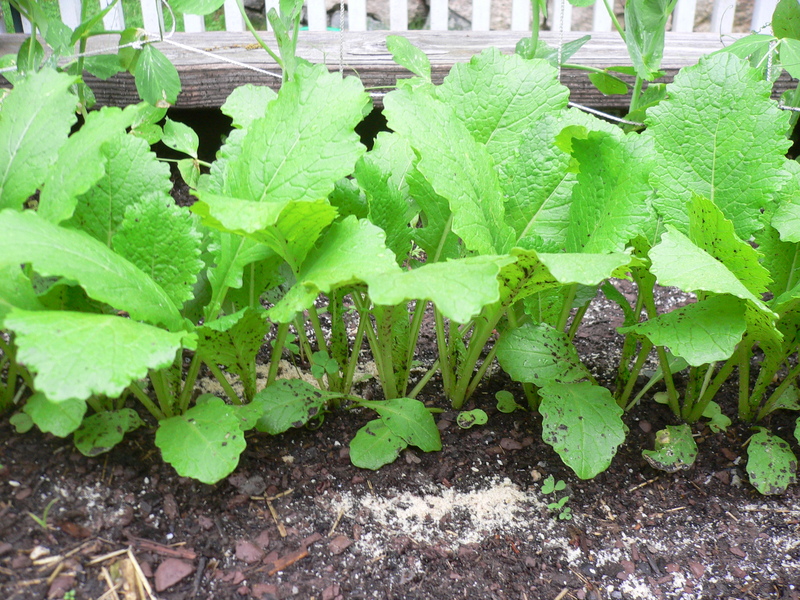 The remaining turnips, now spaced at three to four inches, should not need to be further thinned. Thinning the beets required a bit more attention. Their seeds are clustered so even though we used the same initial spacing, each cluster produced multiple tightly-bunched sprouts. Rather than pull them out, which might damage the roots of those left to grow, we used clippers to cut off the extraneous stems and leaves. 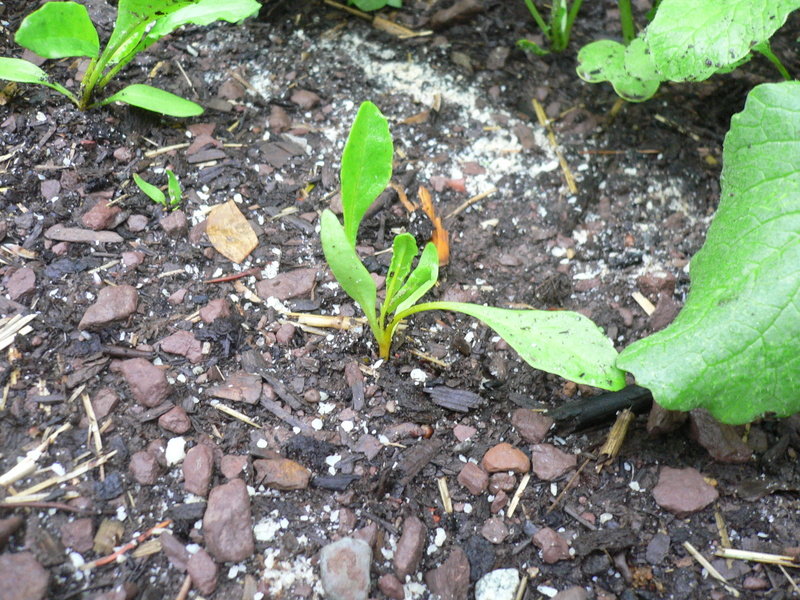 As it turned out, because the beet seeds did not germinate with the same success as the turnips and radishes, there was less thinning to do. 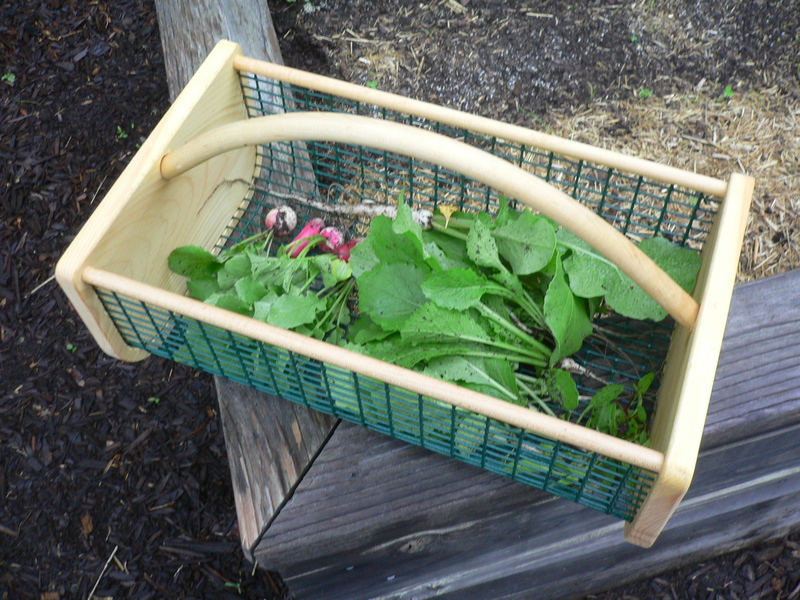 To wrap up in the garden, we harvested the first of the radishes. And we were just in time, too. Shortly after we went inside to sauté them with the beet and turnip greens, a rainstorm of nearly biblical proportions came crashing through. These strong summer storms are very exciting and not a little alarming. They arrive with next to no warning—unlike hurricanes and tropical storms which are monitored closely as they track up the Atlantic seaboard—and can dump a huge volume of rain in a very short period. In fact, today’s storm brought a higher precipitation rate than either Hurricane Irene or Hurricane Sandy. Our road nearly washed out. Luckily, however, the tempest had subsided after an hour or so (unlike the hurricanes which take a day or two before they run out of energy). No real damage had been done but the runoff washed around the raised beds and redistributed the cedar mulch. Still, it underscores the need for more risk analysis (see May 7, 2014). With climate change clearly in progress, heavy rains such as the one this afternoon have been and will continue to be much more likely. The consequences remain moderate: flooding of the pool and garden area. So far, the impact to the house has been minimal although the long-term exposure to moisture—to the point of saturation—may eventually lead to rotting timbers and a leaky roof. It is apparent that I need to assess the topography of the yard and devise surface drainage routes to relieve the low-lying areas where rainwater accumulates. The big unknown for us is what exactly to do to mitigate the flow and how much it will cost us. Because although it is true that I can’t do anything about the weather (despite talking about it a lot), I can do something about its consequences. It has been more than a month since we planted the root vegetables and they are coming along fine. 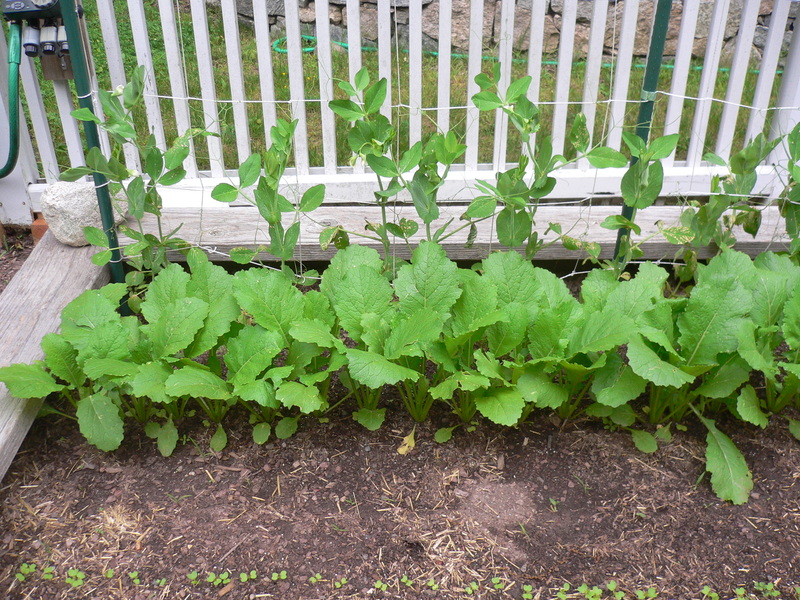 As usual, the radishes are in the lead—they’re speed demons, relatively speaking—and their greens are at least six inches tall. The turnips are a close second while the beets and carrots are trailing far behind (again, not unusual). We’re overdue, however, for a second seeding. I would have preferred to do it two weeks ago with a third seeding today, but others parts of my life took precedence. Better late than never even if there will probably be a gap between when the first crop is exhausted and the second begins to yield. 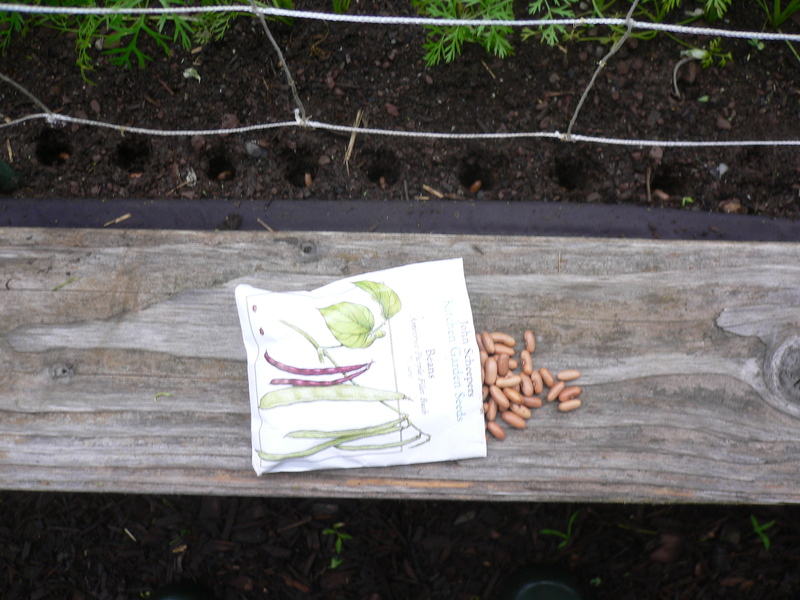 We laid out two new rows (at a spacing of six inches) and carefully placed (rather than sprinkled) the seeds with about one inch in between them. 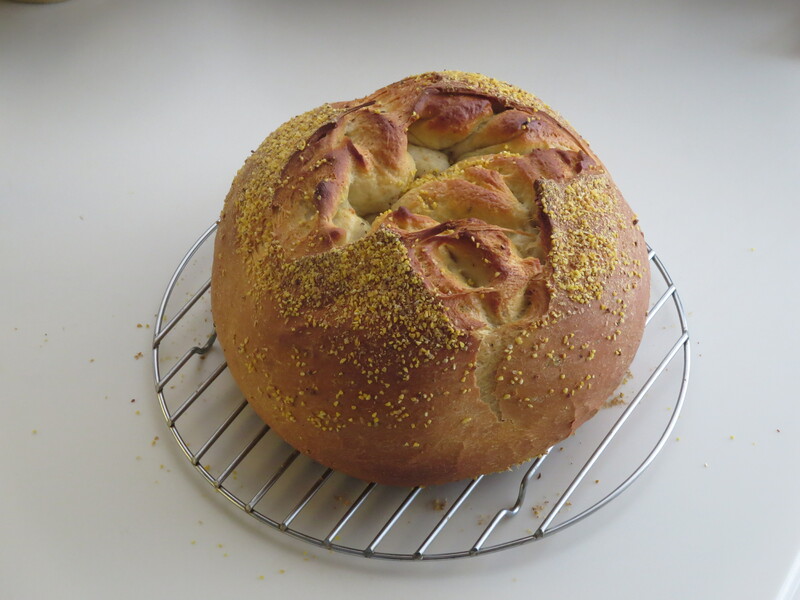 It is tedious—especially with the tiny carrot and radish seeds—but using tweezers helps. And it is worth the extra effort. 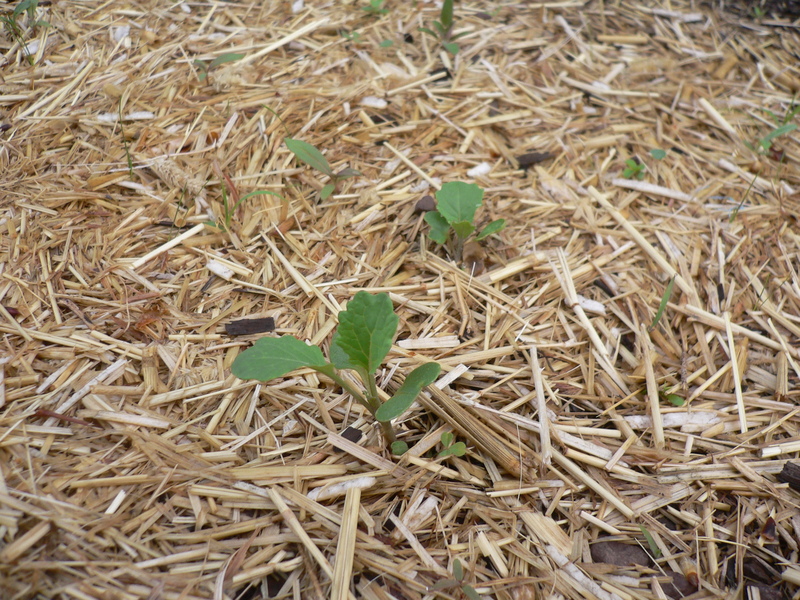 The seedlings that are growing now are comfortably spaced and will be easily thinned (and soon, too). 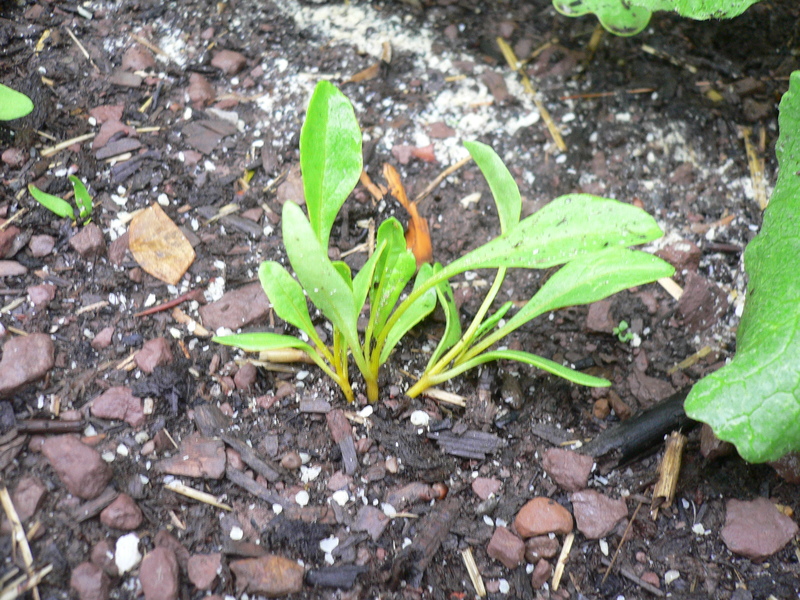 The only seedlings that will require close attention are the beets whose seeds are actually seed clusters. No matter how much space we put between them, they will still produce tightly-grouped seedlings that we must thin carefully using clippers. I’m tempted to say that we are much farther behind in the growing season this year than we were at this point in the last. The weather has been substantially cooler this spring, especially at night. Everybody—humans and plants, alike—seems to be moving in slow motion. The motor is running but the engine is cold. However, looking back at photos and notes from mid-May, 2013, I find that we are not as far back as it feels. 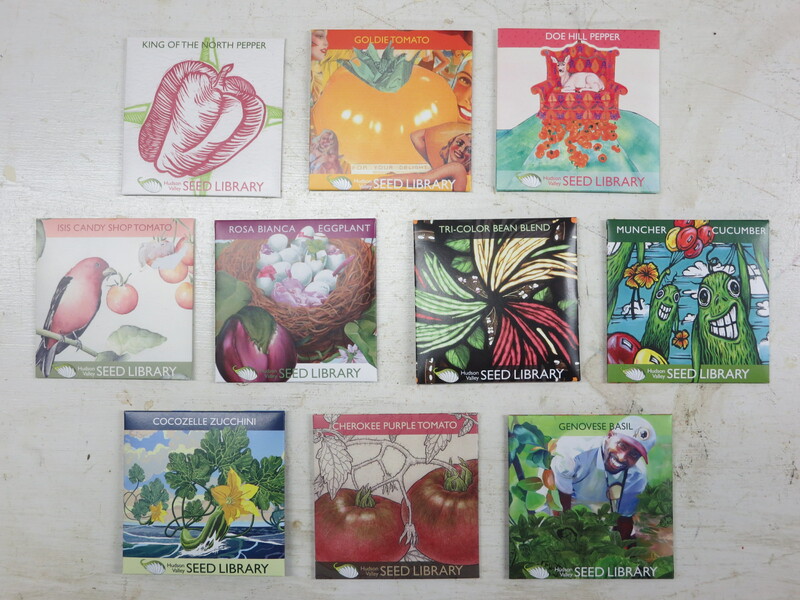 We have sowed the seeds for everything that we planned to start indoors and almost all have germinated and sprouted. The only exception is the Yellow Belle peppers with which we truly got a late start (after three failures of the Orange Sun seeds) and which are typically slow to germinate. Also, we have already advanced most of the seedlings from their seed trays to larger plastic pots. Again, an exception is the Yellow Belle peppers but so are the pattypan squash and Early Fortune cucumbers. All of these were late additions to the garden lineup—and not because of the weather. Presumably, the failure of last year’s seeds to germinate was independent of what was going on outside. More significantly, perhaps, the transplanted seedlings are taller and fuller than their 2013 counterparts. This is probably because despite the colder weather this year, we started the indoor planting earlier. 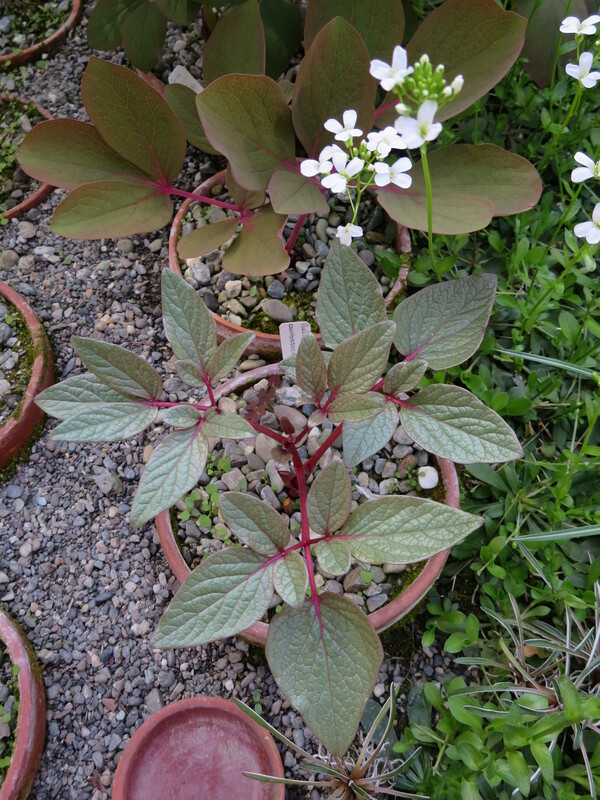 We sowed seeds for herbs in January (even if only a few germinated) and again in early March. 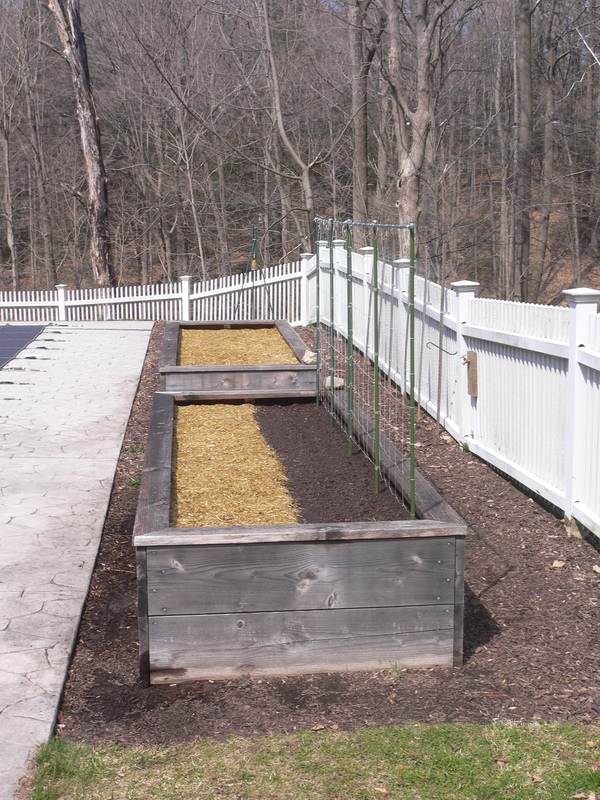 At about the same time, we seeded eggplant and peppers and in February, we planted lettuce. 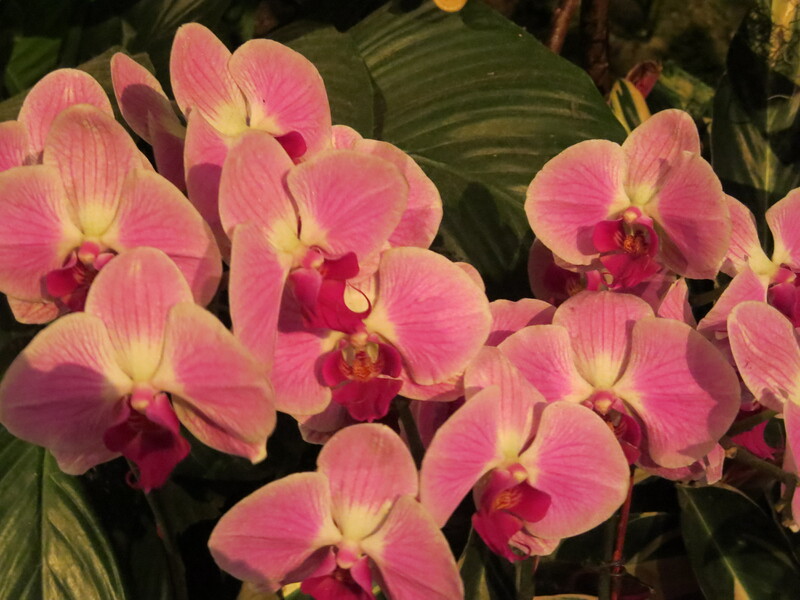 In 2013, we had not done any indoor planting until the end of March. Oh, and we’ve already started eating lettuce, which had only just been planted in May of last year. 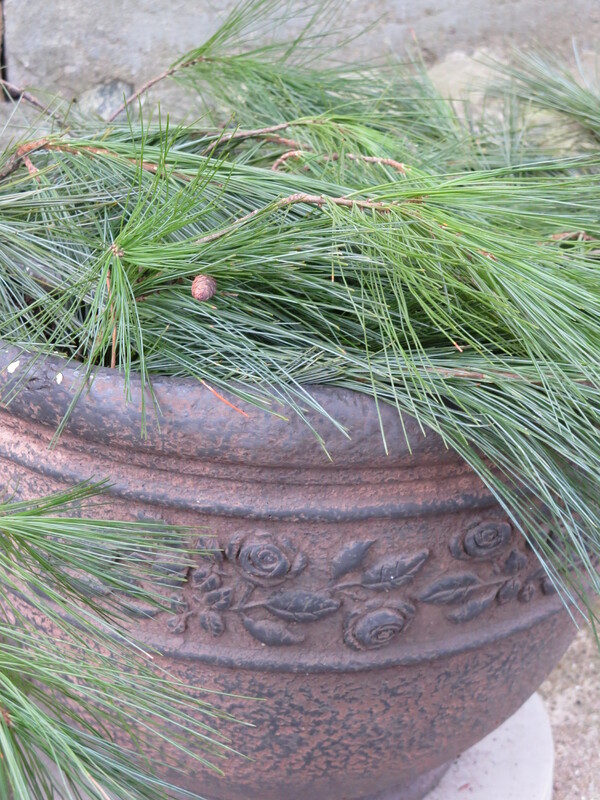 Where we have truly lagged, though, is in our outdoor plantings. Our goal had been St. Patrick’s Day; we settled for mid-April. The combination of lingering snow, travelling and (to be honest) procrastination pushed the peas, carrots, radishes, turnips and beets a month later than we would have preferred. 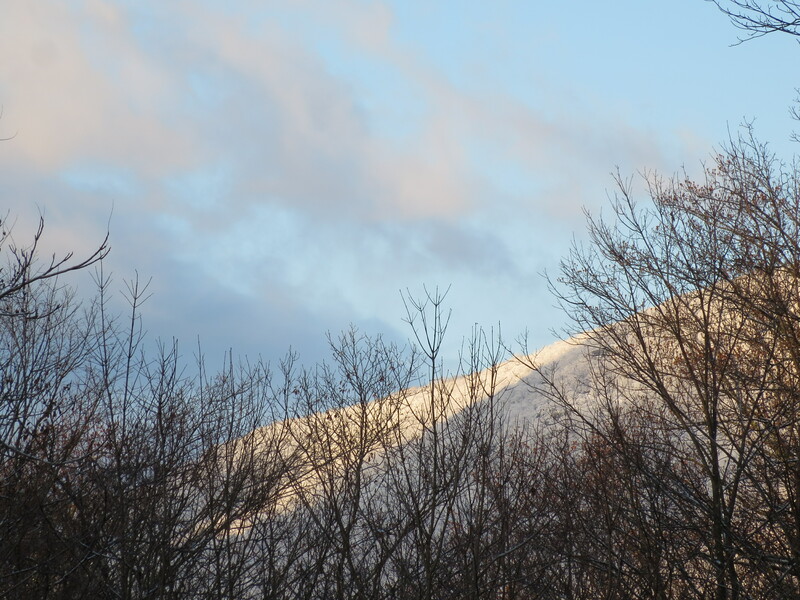 Additional travel and additional procrastination (I can’t blame the snow this time) have also affected second plantings, which have yet to occur. Oddly, though, everything we have planted outdoors looks to be as far along in growth as earlier plantings were at this time last year (we didn’t meet the St. Patrick’s Day deadline then, either, but had sowed seeds by the end of March). Apparently, the conventional wisdom holds true that plants will grow into their season regardless of the weather. It’s a reassuring revelation that even if the engine starts cold, it will still get us to our destination on time. You can tell that we’ve finally passed the point at which cold nights can be expected; there is a freeze watch in effect for tonight. I’m not too worried—the National Weather Service does not actually predict sub-freezing temperatures—but I will cover the east planter with black plastic sheeting just to be safe. 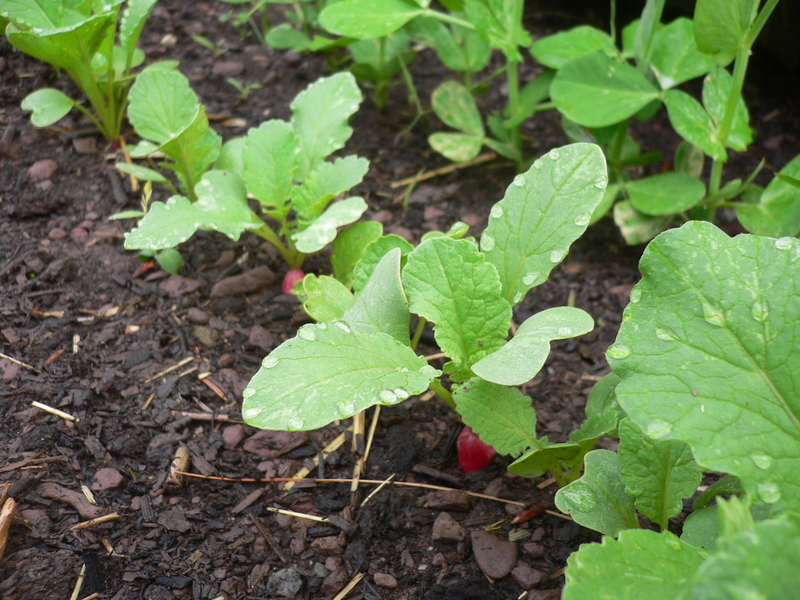 The radishes, always first off the starting block, made their appearance three days ago and the Sugar Snap peas, not to be left behind, started to peek out from the soil a day later. 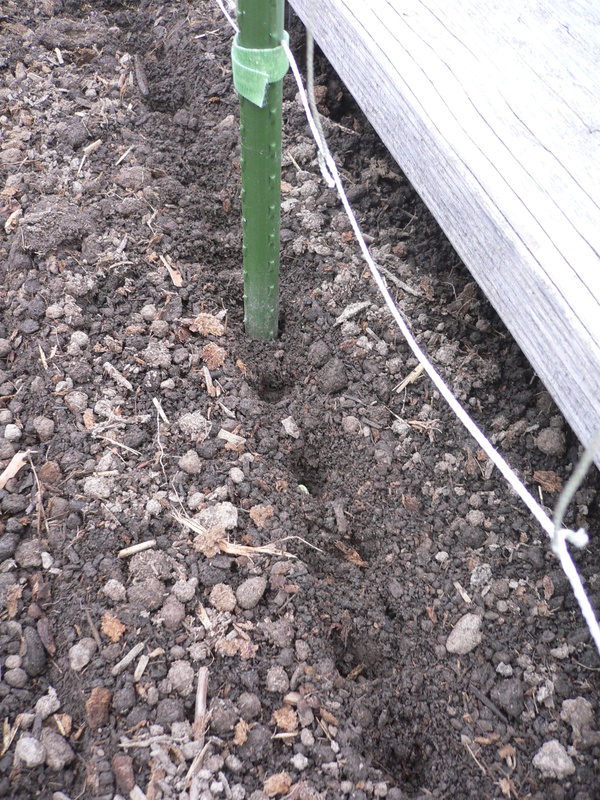 There are now seedlings to protect and the root vegetables are particularly susceptible. 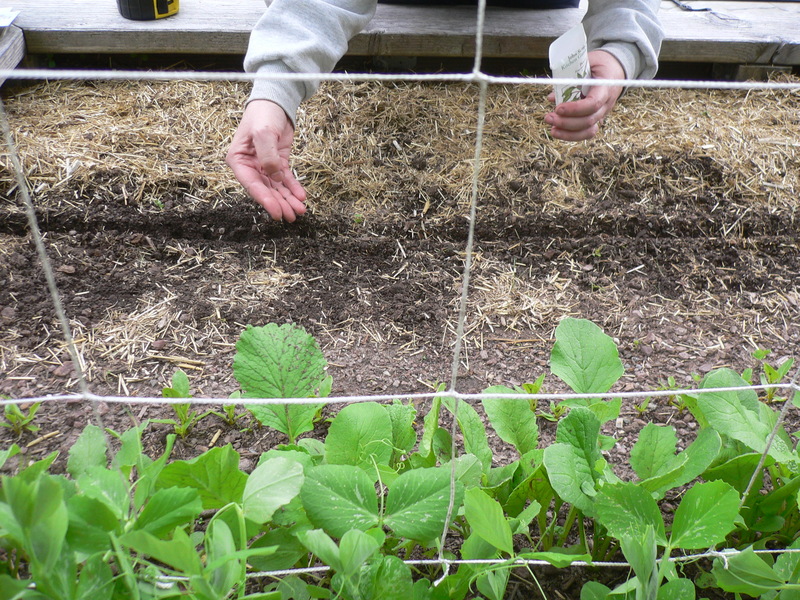 With the trellis in place, I cannot fully cover the peas, but I don’t think it is necessary. 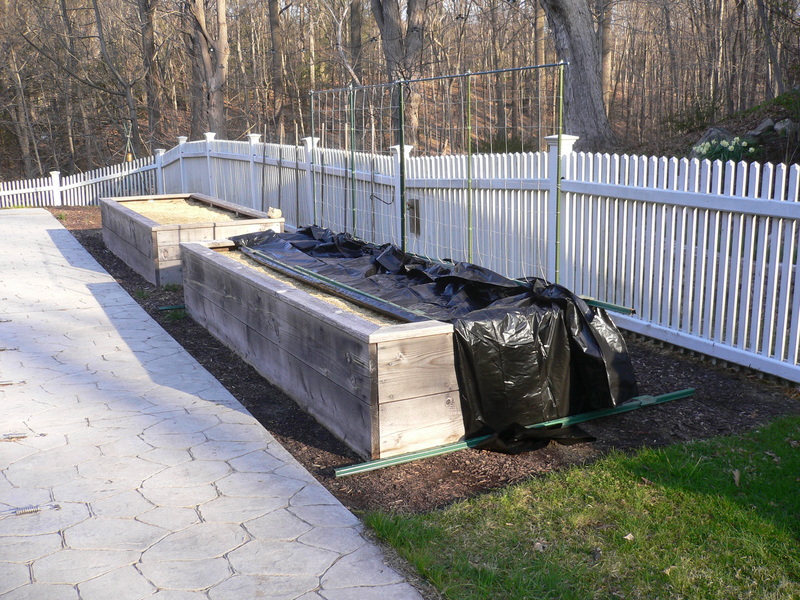 The pea shoots are quite hardy and even without completely enclosing the planter, the sheeting will capture the heat that the garden acquired during the day. I wonder what date the National Weather Service uses for last frost in our area? I conservatively use May 5, which has a 90 percent confidence level (i.e., there is only a 10 percent chance that the temperature will fall below freezing). Apparently, the NWS uses an earlier date. I suspect that they use a lower confidence level, probably at a 50 percent chance of exceedance. Their date—whatever it might be—is less conservative from a freezing temperatures point of view but more conservative from a freeze warning point of view (i.e., its use will likely generate more warnings). Given that the NWS is in the business of forecasting the weather and not gardening, this makes perfect sense. That’s because we sowed the peas today, an activity more traditionally undertaken on March Seventeenth. We’re a month late, but I’m not worried. It rarely (if ever) made a difference for Churchy on which day of the week Friday the Thirteenth actually fell and I doubt it will make a difference to us on which day of the spring we plant. Given the weather, it is possible that the peas would be no farther along by now had we planted them earlier anyway. 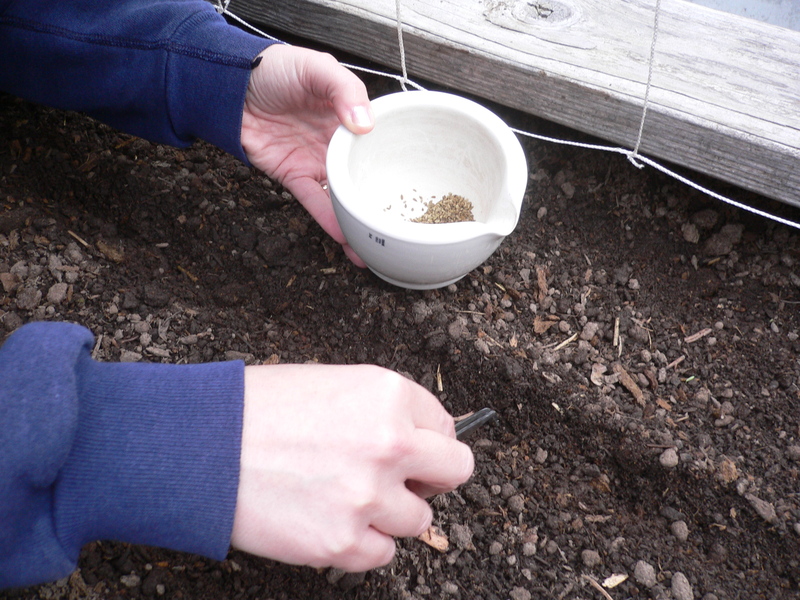 In addition to the peas, we also sowed seeds for a variety of root vegetables. 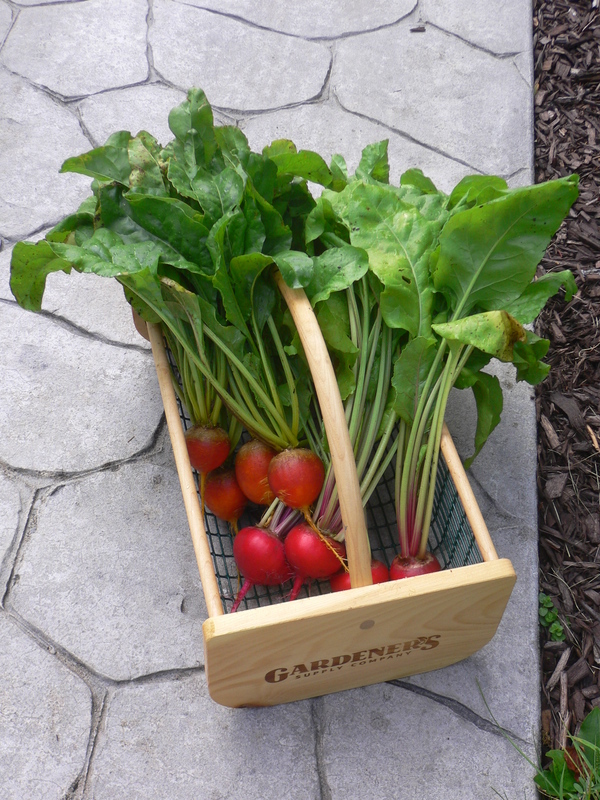 Carrots and radishes will share a row while beets and turnips share another. At Rachel’s suggestion (a good one), we’ll do more beets than turnips this year: two-thirds of a row to one-third as opposed to half and half previously. The carrots and radishes will remain at parity. 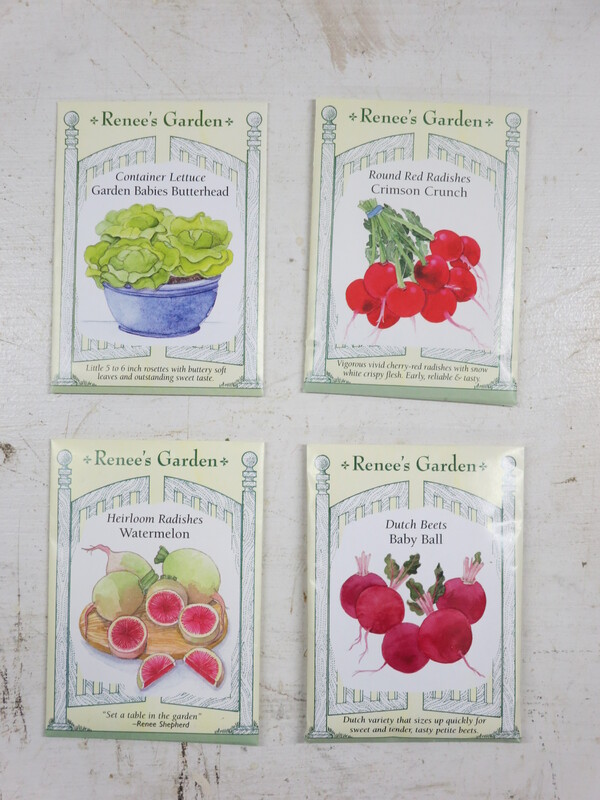 As long-time followers of this blog will attest, I am a big believer in sowing closely seeds for vegetables such as peas, radishes, beets and turnips and then thinning the seedlings as they sprout. Doing so protects against low germination rates and the excess greens can be eaten. They are delicious and can be used raw in a salad or sautéed with onions (or other aromatics) as a side dish. However, last year we were a bit heavy-handed in the sowing and too lenient in the culling. As a result, the roots were crowded and many did not enlarge fully. This year, we took a more surgical approach and carefully placed the seeds at a spacing of about one inch. 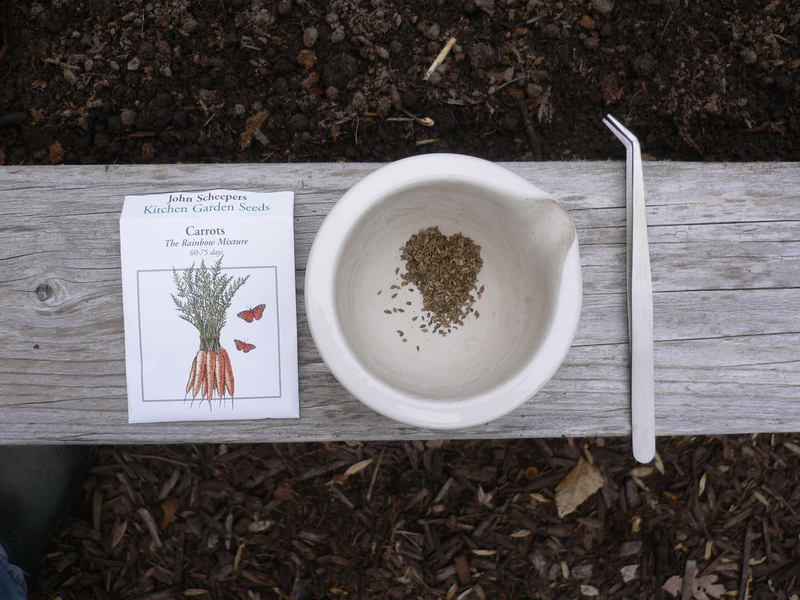 With the smaller seeds—carrot seeds are particularly tiny—we used tweezers. We’ll still have more seedlings than we can grow to maturity but it will be easier to thin the ranks to a spacing of two (radishes and carrots) to four (peas, beets and turnips) inches. I’m actually looking forward to it.